Handsome, compact, small, and well-proportioned are the outstanding attractions of Boston terriers. Bostons have square, broad, and short muzzles, broad chests, generally have small and erect ears like bats, and large, round, dark, and appealing eyes. Their coats are smooth and short with colors ranging from the red cast with black or “seal,” brindle with white markings, and white markings on black. Like French bulldogs, the Bull Terrier, and the white English Terrier, Bostons are playful, good-natured, and can get along with other pets. They can even adjust to a cat as long as they are raised together. Both the adult and the Boston Terrier puppy are highly tolerant of children because of their sturdy build. Fetch is their favorite game and romping around with children can also be an enjoyable activity for them. They are known to move very fast and never to be trusted to be let outside if not on a leash or the home does not have a strong fenced-in yard. They snore, they snort, they get overheated quickly, and they easily chill. This means that Bostons are indoor pets. They are not good guard dogs even when they are likely to bark when someone knocks on the door. Yet, they are so friendly as to welcome anyone who steps into the house. Bostons are known to be picky eaters. Some of them are prone to gas because of a delicate digestive system. However, they can also be easily fed once you get the right commercial foods suitable for them. Boston pups should be fed four to five times a day. This tapers down to two square meals a day when they reach adulthood. The yardstick to measure the amount of food to give depends on the activity and age of the Boston. Reading the instructions on commercial dog food can help as well. Reducing the tartar buildup in the Boston’s teeth can be helped by the dry dog food variety. Canned food can be another option for Bostons that are recovering from an illness or those that medically needs more water content. A mix of dry and canned foods is the best nutrition options for Bostons. Just remember that table scraps should never be fed to Bostons or for any other dog breed. It’s a snap to groom Bostons even when they do require weekly baths to maintain healthy coat and skin. It is recommended to use a high-velocity dryer over the entire body of the dog before bathing. This helpsto loosen any pet dander, excess dirt, and loose coat. Shedding of the coat is better accelerated by lightly carding the entire body of the dog. There are commercial products available to make the job fast and quick. It’s time for a bath after the carding has been done. It is also recommended to use a facial cleanser to clean the facial area. The facial area of Bostons has to be paid close attention because their wrinkles can harbor bacteria. Using a facial scrub in between baths is highly recommended as a way to maintain optimum hygiene and freshness. 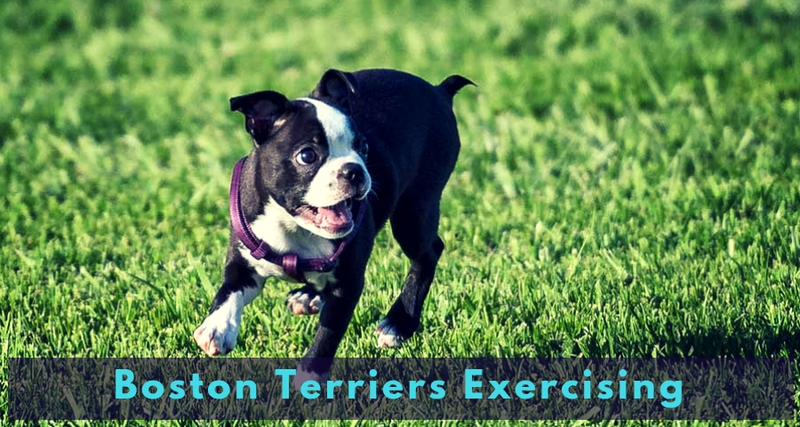 Crate training, especially as a Boston Terrier puppy, is an effective way of training Bostons. Just make sure that the crate should not be too big or too little for him. Creature comforts such as toys, comfortable bedding, and water bowl are ways to make the crate look inviting. Since Bostons love to chew, giving him chew toys can train him from chewing on furniture and shoes. Entice the Boston to enter the crate by placing dog treats. Meal times can also be near the crate until he feels comfortable entering it on his own. As soon as he becomes more comfortable, close the door on him and leave him there for a few seconds. Reward him with treats each time he stays longer in the crate until he can stay there overnight. It’s only with puppies that you have to patiently send them out regularly to avoid accidents. Confining him to small areas until the Boston is fully housebroken is a good training that needs to be started during the early stage of his life. A short daily walk routine may suffice for Bostons. Playing with them is already a form of exercise. This is because the breed only needs moderate exercise to make them happy and healthy. Can This Dog Breed Be Used For Emotional Support? Yes. 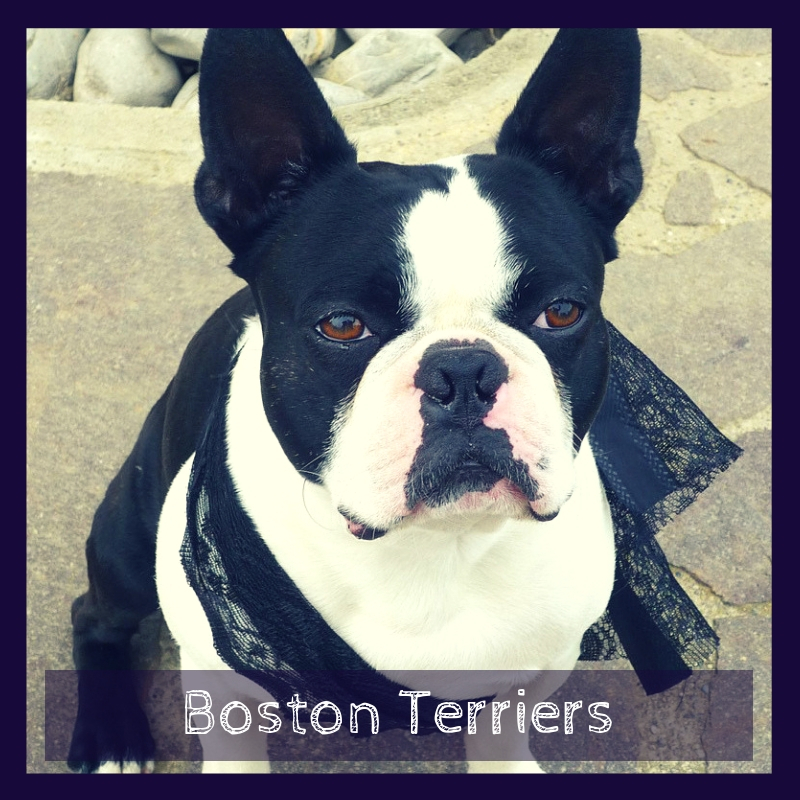 The Boston terriers are intelligent, good-looking, and bred to be the perfect companion for their owners. They are small, dapper-looking all the time, sturdy, and friendly to all—even cats. Their even temperament makes them adjustable to company and travel. If you have a Terrier and want to get it registered as an emotional support dog, you may do so online here. The process is quick and simple! Breathing Problems: Snuffling and snoring are endearing habits of Bostons but they can also be life-threatening. The flat face of the Bostons makes them highly susceptible to breathing problems. Surgery can correct the defect should the Boston exhibit severe breathing difficulties. Spinal Issues: The failure of the bones in Bostons known as hemivertebrae is caused by their corkscrew tail. Some Bostons may not show symptoms but surgery is required if a puppy shows lack of coordination or impaired movement in the hind legs. Eye Problems: Those large soulful eyes of Bostons may look appealing but they are also prone to problems brought by their flat face. Some of the serious eye conditions reported in Bostons include glaucoma, cataracts, and corneal ulcers. Ear Problems: A small number of Boston breeds have shown deafness in one ear. There were also reported cases of complete deafness in others. 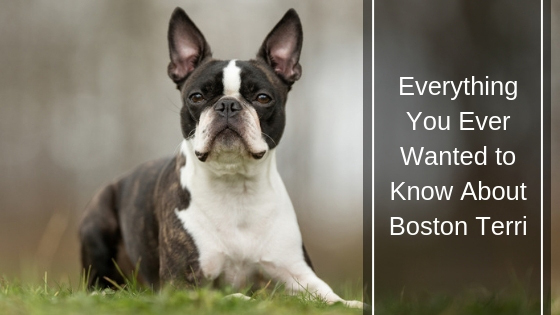 The best time to discover if your Boston is one of this small numbers is to have him checked by the vet as early as possible. Socializing and training skills will be seriously impeded if problems of the ear are not checked and resolved at an early age. Boston terriers are dapper-looking small dogs that look formally dressed all the time. He looks like he’s ready to party all the time which he can be at a moment’s notice. He easily adjusts to what his owner’s feeling for he will always be there for you. There are no attitude problems despite the small size and good looks.